Crews made many significant contributions in the areas of helicopter development, qualification and fleet support with regard to aeroelasticity, ground resonance, structural dynamics and vibration. He was a principal engineer for those disciplines during the development and fielding of the UH-60A/L, AH-64A/D, OH-58D, CH-47D and RAH-66. He solved numerous dynamics and vibration problems on all US Army helicopter types,serving both in leadership roles and as a subject matter expert on multidisciplinary engineering teams. Dr. Crews successfully leveraged his active interest in Health and Usage Monitoring Systems (HUMS) to achieve substantial improvements in aircraft sustainment. He was also instrumental in establishing technical direction for the Aviation Vibration Analyzer (AVA), and contributed significantly to onboard rotor smoothing and drive train vibration analysis for condition-based maintenance (CBM) techniques and applications, as well as automated aircraft weight and balance applications, and automated mission planning systems. Crews was a leading proponent of improved handling qualities in vertical flight aircraft, succeeding in advocated for additional research to improve rotary-wing partial-authority flight control systems, which led to the highly-effective digital automatic flight control systems currently fielded on CH-47F and MH-47G Chinooks. An AHS member for more than forty years, Crews joined as a graduate student in 1975 and remained active in the Society until the end; he was recognized as an AHS Technical Fellow in 2010. 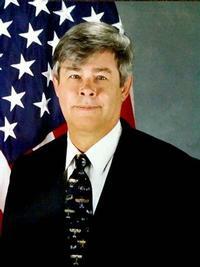 Dr. Sam Crews provided visionary leadership and invaluable mentoring for over 30 years throughout Army Aviation. The successful resolution of nearly every aeromechanics issue that arose during the airworthiness certification of every currently-fielded Army aircraft can be traced directly to this extraordinary engineering leader. Dr. Samuel Tribble Crews V, a leader of US Army Aviation efforts to enhance the proficiency and safety of helicopters, died Jan. 22, 2016, at 69. His entire career was devoted to advancing the Army’s expertise in the aeromechanics technical disciplines and training, coaching and mentoring next generation government engineers.